HateLab has been shortlisted to one of three nominees for the inaugural National Hate Crime Awards in the Upstanding Research & Innovation Award category. This Award is for a researcher or academic department at a University who has brought significant awareness, as well as new concepts and innovative ideas to the hate crime cause. HateLab was shortlisted because of its recent work on cyberhate across multiple hate crime types. This includes research funded by the Big Lottery Fund, Economic and Social Research Council, Google, Welsh Government, and US Department of Justice. The National Hate Crime Awards was organised by Faith Matters – in partnership with a wide-range of agencies – to recognise individuals, activists and organisations who have ‘stood out and spoken up’ against prejudice and intolerance. The awards ceremony was attended by police, practitioners, government officials and academics. Communities Minister Nick Bourne MP and Shahid Malik MP opened the ceremony. The late Jo Cox MP and Paul Giannasi, the UK Hate Crime Programme Lead both won awards. “These awards have been launched at a time when intolerance and hate are on the rise and manifesting in new insidious forms. The Internet is a new frontier for spreading bigotry and vitriol. Social media companies, policymakers, law enforcement, charities and academics need to come together to develop strategies for protecting victims. These awards represent a step in that direction, and I wish them every success going forward” said Professor Matthew Williams. 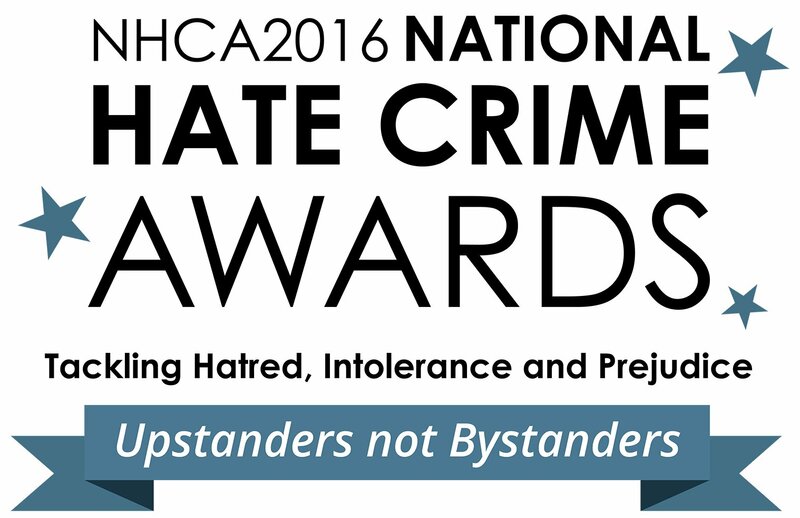 The National Hate Crime Awards ceremony took place on Thursday 17 November 2016 in Central London with the theme ‘Upstanders not Bystanders’. The awards were sponsored by Tell MAMA, the Community Security Trust, GALOP, Stonewall and the ‘No to Hate Crime’ campaign.